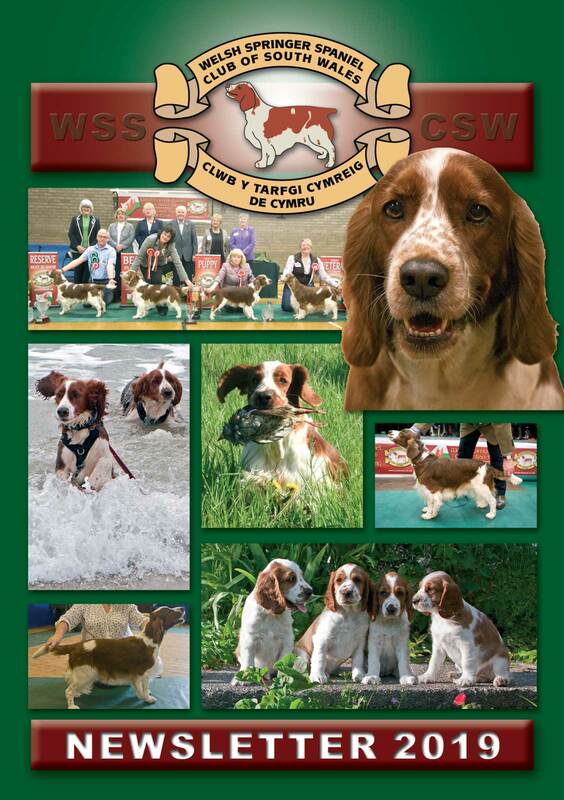 The Welsh Springer Spaniel can be a very competent dog working in the field and more and more of our members are enjoying the challenge. The training and competition events are a great way of socialising (both the humans and the dogs) and gives the dogs a good basic obedience which is vital in everyday life with your dog. We hold training days where we invite professional trainers to lead us through the day and we usually stop for a barbecue lunch when we can discuss the morning's training - before going onto the afternoon session. A final cup of tea and discussion before travelling home with usually very happy but tired dogs. Training sessions are for all levels of dog from the absolute beginner to the more advanced - we learn how to steady your dog, hunt the ground and retrieve from blind and water situations. The latest News from the Working Section. Announcements for upcoming events and news about members' successes. We host Assessment Tests usually twice a year and organise Training days. Our members often participate in events hosted by associated clubs too. Results and reports will be posted here as soon as possible after the event. Updates and Information on working Welshies in the Field. There's also plenty of tips and advice from the experts on on how to train your dog for this exciting and satisfying pastime.